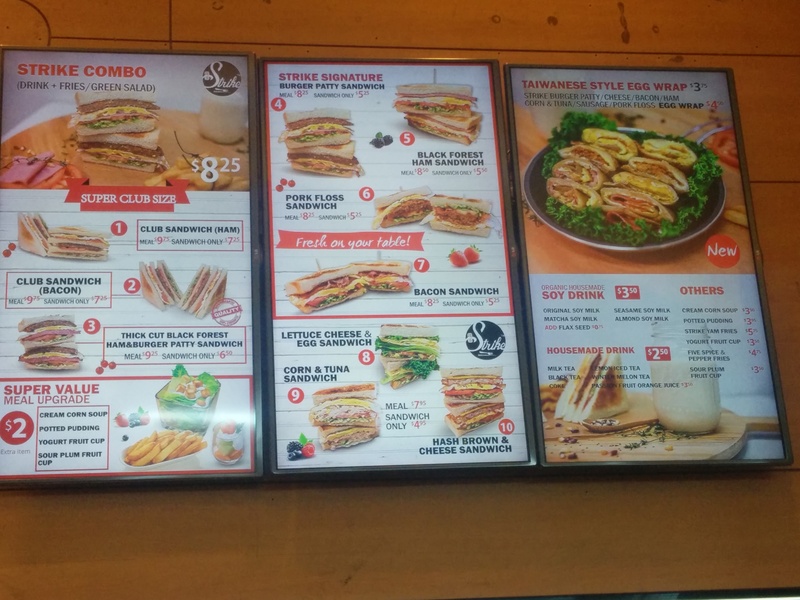 The sandwiches are around $5-8 and you can get a combo with fries/salad and a drink for an additional $2.50. 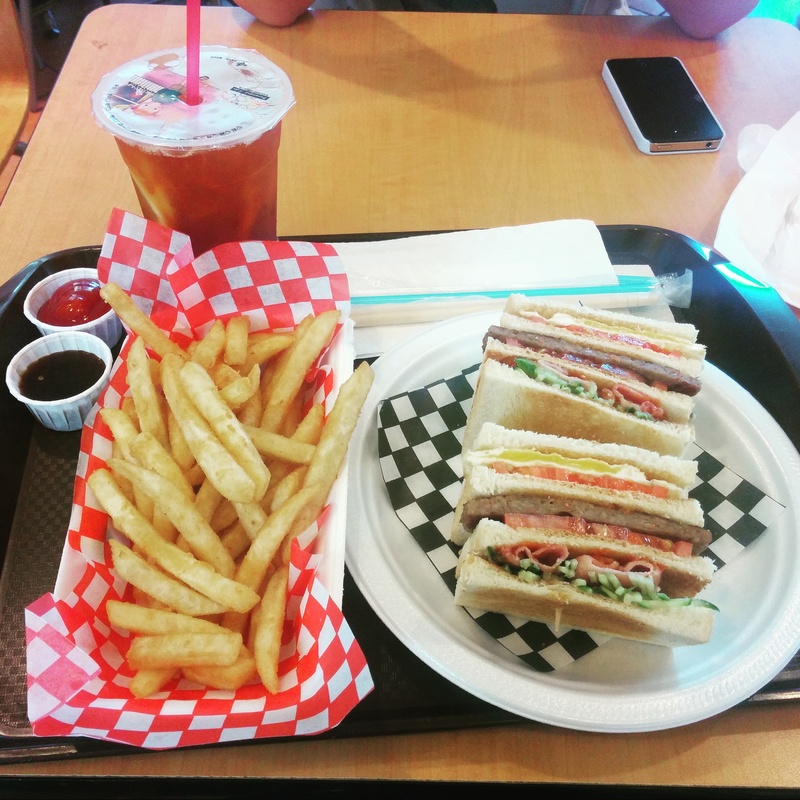 This was the Club Sandwich meal which came with a side of fries and your choice of a drink (cold lemon tea in this case). 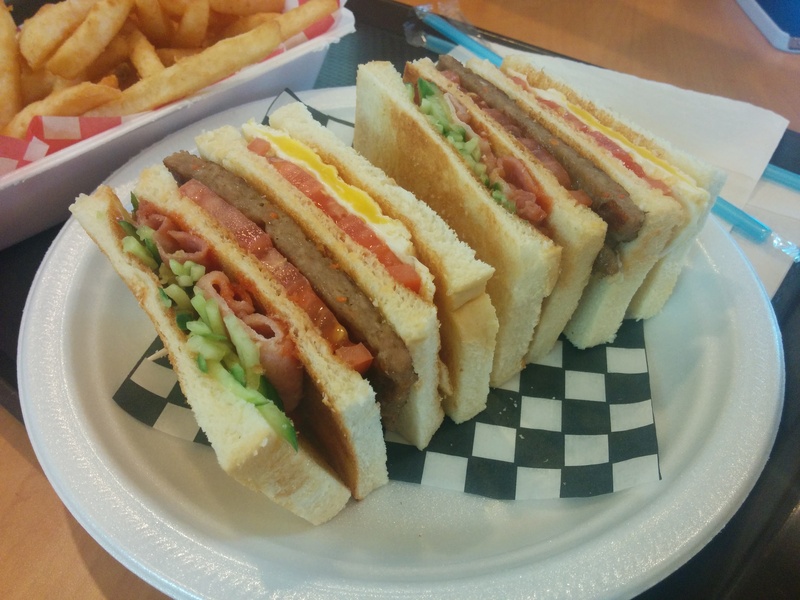 The sandwich consisted of three layers: cucumber and tomato, tomato and beef patty, tomato and fried egg. The many layers of the sandwich certainly looked colorful and appealing. Taste wise, the bread was toasted and crunchy and you can taste all the layers of the sandwich. The portion is filling especially with the side of fries. The fries were reminiscent of Costco fries (it seems to be my standard for fries…) but slightly less crisp. There is also a garlic soy sauce on the counter that you can use. I’m not sure if it’s really for the sandwich but I ate it with the fries! The flavour was good but too salty for fries so maybe it was for the sandwich. I did find the sandwich to be on the dry side but it just felt weird to pour sauce on it and then it would be really messy. 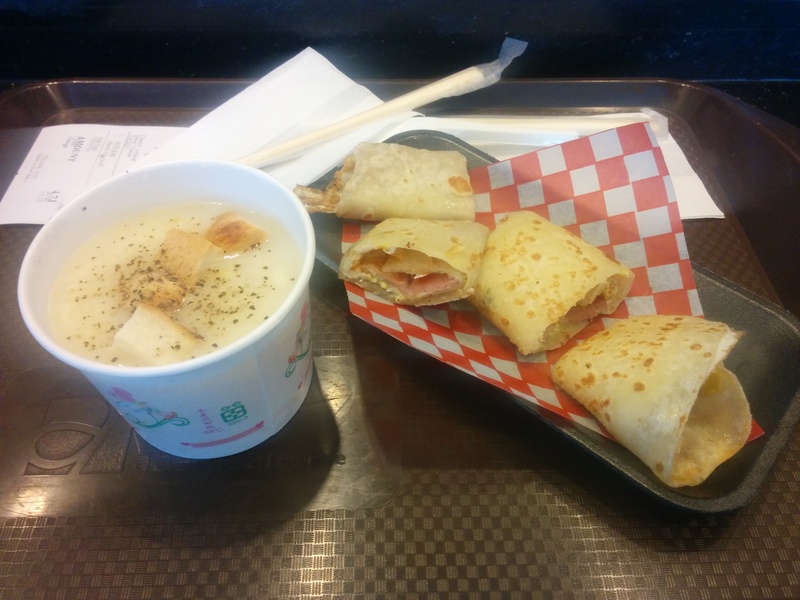 I was also intrigued with the Taiwanese Style Egg Wrap. It is essentially a light chewy pancake filled with egg. You can also choose to have other fillings like sausage, bacon, ham etc. I picked bacon and it was so good! I probably wouldn’t have been as impressed without the bacon. It seems like a really simple concept but tastier than I imagined and for $4.50. Without the bacon it would’ve been $3.50. Not sure how much additional fillings would cost. $1 seems like a lot though especially when there was only 1 piece of bacon! I didn’t know it came with a side of soup but it did. It was a cream soup with bits of corn and croutons. Tt was better than I expected for the food court but of course still pretty generic. I’m liking this new addition to the food court.